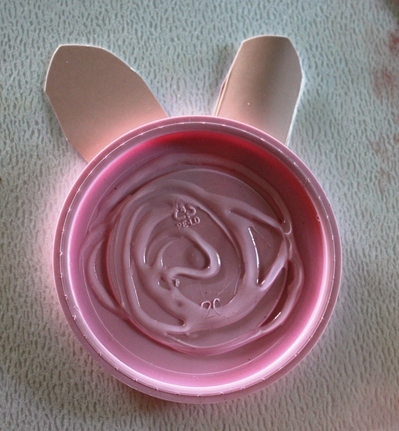 These Easter Rabbits are an easy, fun activity for small children to create. They will enjoy a sense of achievement with this activity and should be able to complete it almost totally by themselves. I love using anything recycled, so when I discovered some cotton wool and colored lids lying around the kitchen, we put them together and made these wonderful creatures. Cut out two long "rabbit ear" shapes using the colored cardboard - color them in to match your recycled lid, if necessary. 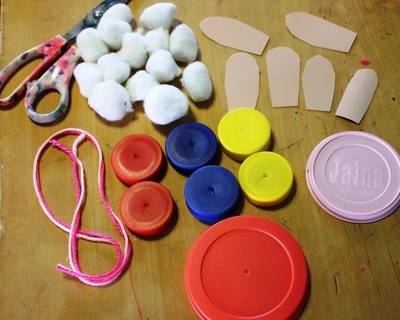 Glue the colored cardboard ears onto the back of the recycled lid. 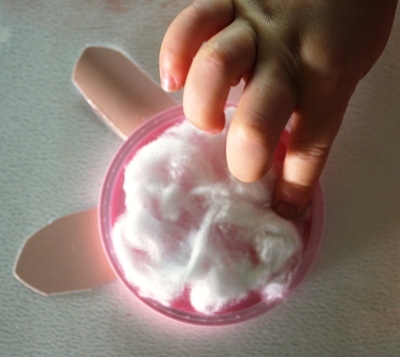 Fill the inside of the lid with craft glue and stick the white cotton wool onto this glue. Glue on two "googlie" eyes (or white paper circles with black pupils). 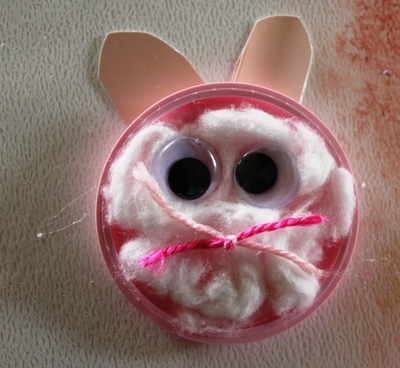 Make "rabbit whiskers" with the colored wool ( 3 - 4 strands). 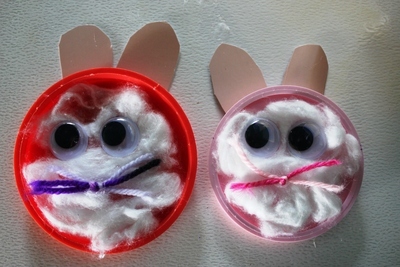 Glue the "rabbit whiskers" onto the white cotton wool. Once the glue has completely dried, you can play all sorts of Easter games with your recycled creation.